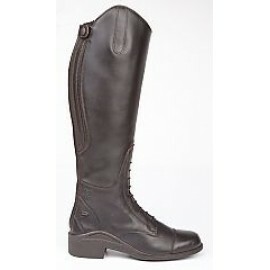 A smart new full length leather riding boot with nubuck inside calf panel and elasticated front lacing. Manufactured from full grain leather with a textured waxy nubuck inside calf panel, this stylish long boot features elasticated front lacing and a covered elasticated rear panel for enhanced fi..
Our best selling yard boot, the Dealer comes in water-resistant waxy nubuck leather, has a rugged rubber sole and a leather lining with honeycomb elasticated sides for maximum comfort. Dealer is fitted with two pull loops for ease when putting on. This is an extremely practical multi-use boot whi..
Steel toe-capped safety jodhpur boot with European standard safety certificate. 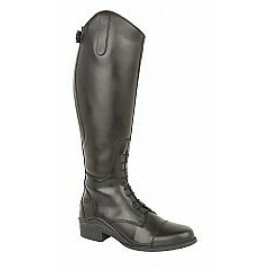 Made in quality soft full-grain calf leather, it is still lightweight and has the looks of a good quality jodhpur boot with a non-slip rubber sole suitable for riding. 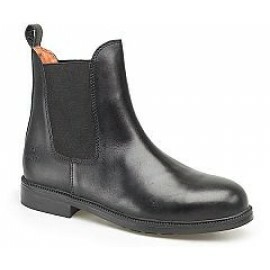 Leather lining, rear pull loop and elasticated..
Back in the range by popular demand and re-styled with a brand new non-slip rubber riding sole unit, this attractive dealer style boot is made in water-resistant waxy nubuck leather. 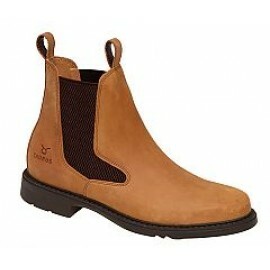 The honeycomb elastic side panels have been designed to provide additional flexibility when putting the boots on. 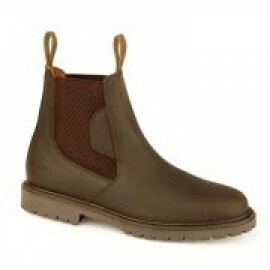 ..
A 100% waterproof and hardwearing country boot, Holkham Country is manufactured using waterproofed waxy leather with contrasting leather bands and stitching and with a fully adjustable top lace. 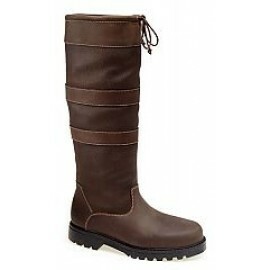 It has a rugged, durable non-slip rubber sole. 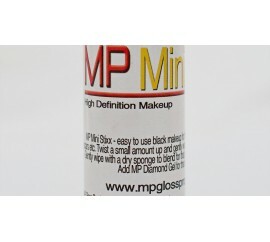 Fully lined using soft Perlon and with a W-Tex waterpro..